Which Protein Powder If You’re Lactose Intolerant? If you are lactose intolerant, then you are quite accustomed to checking to see if dishes contain dairy. You might also be wary of whey and casein protein powders due to their derivation from milk. However, if you have only a mild lactose intolerance, you may not have an issue with whey and casein. Why is this? Many individuals with a mild lactose intolerance are fine with whey protein isolate as well as with casein. Both whey and casein are separated from the lactose during processing. There are small concentrations of lactose which bypass the separation, but usually this is not enough to mount a reaction in a mildly lactose intolerant individual. Only the most sensitive individuals will have a problem with these forms of protein. Bear in mind that whey concentrate is not the same as whey isolate, and that individuals who are more lactose intolerant or who have other gut issues might not tolerate the concentrate form of whey. You may be asking what the big deal is with whey and casein, and whether they are better than other forms of protein. Why take a chance of mounting a reaction in the belly when there are other forms of protein? Whey is a complete protein, meaning that it provides all the amino acids the body requires. It is also relatively cheap. 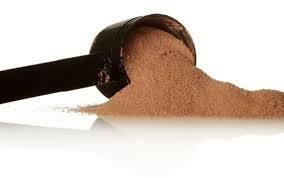 Casein protein is also a complete protein, and is digested very slowly, making it a great option for bedtime. While soy is also a complete protein, it undergoes considerable processing, and it contains phytoestrogens which are estrogen mimics. I am definitely not a fan of soy protein and will not advocate its use. Rice, hemp and pea proteins are good alternatives for the vegan or vegetarian crowd, but since they are not complete proteins, they must be combined to fill out the amino acid profile. Rice protein is very easily digested, while pea protein has glutamic acid, which helps convert carbs into energy instead of being stored as fat. Hemp protein is rich in omega-6 fatty acids and has a high fiber content. As long as you mix plant based proteins to get a complete profile, you will not be at a disadvantage if you cannot tolerate whey or casein. However, when it comes to cost, nutrition profile, and convenience, whey will always win the prize for being the king of protein powders. On a personal note, I discovered that I had a mild intolerance to whey and a moderate intolerance to casein, and though I only have a mild case of lactose intolerance, the whey and casein proteins themselves cause my body to react. As a result, I keep whey protein intake to a minimum, consuming only a small amount (about 20 grams) a few times per week. This is a drastic drop from the 60 to 70 grams of whey protein which I was ingesting during my competing days in the off-season.